Rio de Janeiro boasts the world's largest water treatment plant, and it's working overtime. The Guandu Water Treatment Station provides 90 percent of the city of Rio's water, and it's increasingly grappling with water quality problems. One challenge is that forest loss and landscape degradation upstream of the city is causing soil erosion, which generates more pollution, and fills reservoirs with sediment instead of water. This causes costly water treatment and dredging needs. An innovative strategy to cost-effectively deal with this water pollution looks beyond the city's treatment plant and into its surrounding forests. A new WRI study finds that restoring more forests around Rio could save the city up to $79 million in water treatment costs, while dramatically reducing the amount of chemicals used to treat drinking water. Trees naturally filter the water that runs through them, providing cleaner water to people downstream and reducing water treatment costs. Forests also protect cities from floods and landslides, and reduce wear and tear on downstream built infrastructure like dams and treatment plants. Supplying water to 9 million people puts tremendous pressure on the Guandu treatment plant. Because of the volume of water moving through it, even a small rate of pollution can result in high costs. And the challenge is intensifying—to meet the city's demand in 2030, supply of treated water may need to increase up to 50%. Rio de Janeiro is also facing a budget crisis. Spending more and more on water treatment isn't good for the city. Rio's water managers are already experimenting with using forest protection and other "natural infrastructure" for cleaner water. The water utility, CEDAE, through its ongoing "Replanting Life" program has been restoring riverside areas and protecting springs. The local hydropower company, LIGHT, has reforested approximately 600 hectares of land since 1992. The Water and Forest Producer Program, primarily funded by the Guandu Watershed Committee, has already raised over $3 million for natural infrastructure efforts like reforesting important areas of the river basin and protecting standing native forest. These small-scale efforts are commendable, but insufficient in isolation – and they're coming under pressure with Rio's growing budget crisis. WRI's new report provides a cost-benefit analysis of natural infrastructure development in Rio, which can help government officials understand and justify investments in forests for water management objectives. We applied our Green-Gray Assessment, a tool that helps water-dependent companies and investors examine the costs and benefits of utilizing green infrastructure in combination with traditional, built infrastructure. We found that restoring 3,000 hectares of native forest in targeted locations in Rio would require an initial investment of about $26.4 million, but would avoid costs of $79 million over 30 years, or $2.6 million per year. Investing in forests would also spare the use of an estimated 4 million tons of chemical products and 260MWh of energy in water treatment over the next 30 years. The price tag of over $26 million to restore forests may seem high to some. But, importantly for cash-strapped states like Rio de Janeiro, natural infrastructure does not necessarily require additional financial resources—rather, it may involve rerouting existing funds and aligning with other efforts already funding landscape restoration. Because natural infrastructure can do much more than purify water, it can also attract investors interested in reducing carbon emissions, boosting rural livelihoods or protecting biodiversity. Should Other Cities Pursue Natural Infrastructure for Water? This report is the second in a series of studies on natural infrastructure for water in Brazil and Mexico. 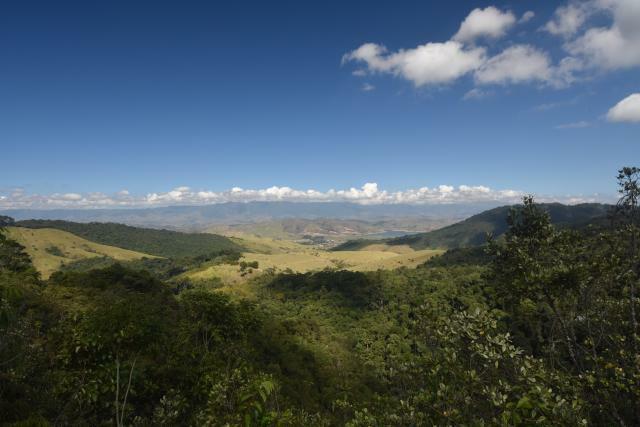 The first report assessed water supply in São Paulo and found that restoring 4,000 hectares of forest could generate cost savings of $106 million for the local water company. Other cities around the world are grappling with the same kinds of water problems as São Paulo and Rio. By one estimate, watershed degradation impacts the quality of drinking water for more than 700 million people, and costs the world's largest cities $5.4 billion per year in water treatment. WRI's Green-Gray Assessment can be applied to any watershed. When natural infrastructure projects are designed with the local context in mind, they can help provide clean water in many places around the world. This report was developed by WRI, the Boticário Group Foundation for Nature Protection and The Nature Conservancy (TNC), in partnership with FEMSA Foundation, International Union for Conservation of Nature (IUCN), Instituto BioAtlântica (IBio) and Natural Capital Project. For more about our research and methods, see the report, Infraestrutura Natural para Água no Sistema Guandu, Rio de Janeiro .